Photo today: We went to Rite-Aid for ice cream after dinner today. 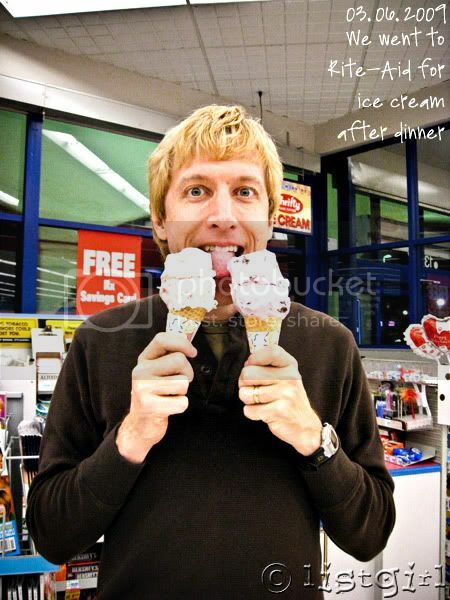 Only $1.18 per scoop! And yes what we got was considered only ONE scoop, even though it looked rather large. And Todd didn't really eat both of them, he was just holding it for me while I took a photo of him. Of course, we consider this part of the carbo-loading for running tomorrow. My neck and right shoulder still hurts a little and it's still sore, but I'm going to try to do the run tomorrow. This photo is for AJ: Who's the man, eh? Eh? 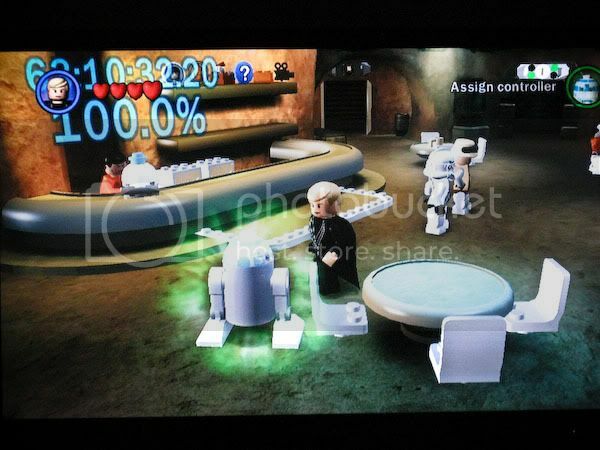 The Todd finished Lego Star Wars last night! 100% done! It took him a couple of months of playing a few hours a week, but he's finally finished the game. Anyone play Lego Indiana Jones? Lynnette? Is it similar? Is it fun? I found a couple of blog related things lately that intrigued me. First is a freeware software called Blogger Backup that backs up all your Blogger posts and comments and fully restores your blog when you need to. I found out about it from here and several other places after googling around about backing up a Blogger blog. I haven't tried it yet but I plan to. 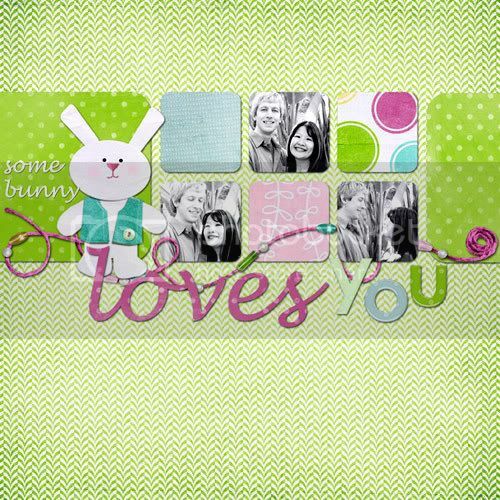 Second blog-related thing is something I saw on Shabby Miss Jenn's blog. 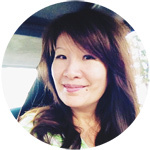 You can print your Blogger, Typepad, or Wordpress blog into a book here. I thought that was super-cool. Except that the book isn't big enough if you blog with photos everyday. Something to check out and think about. 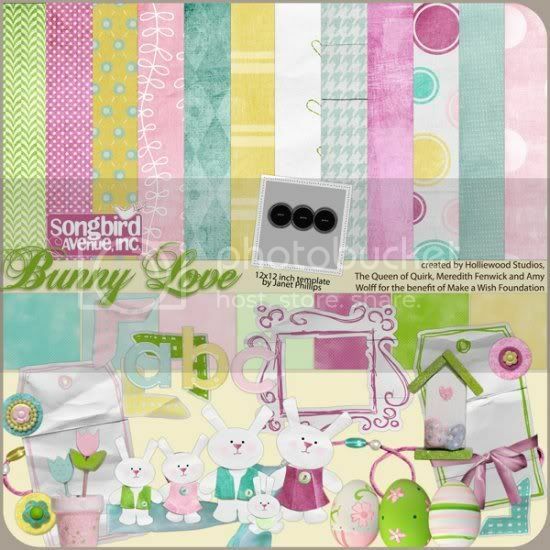 Last but not least, check out this month's Songbird Avenue kit Bunny Love by Holliewood Studios, Queen of Quirk, Meredith Fenwick, and Amy Wolff. All proceeds minus paypal fees benefit the Make A Wish Foundation. There's been a lot of talk lately about where the money from charity kits really go. You can rest assured that Songbird Avenue donates all proceeds every month to the charity organization that month. Jan Crowley provides a copy of the receipt every month on the Songbird Avenue blog. My layout with it: Pardon the pun. Thanks for your links about the blooger backup and book! Yummy, that looks so tasty! Great picture! We have an ice-cream bar here that makes the ice cream themselves, but it is only open in summer. So delicious! 100%, woohoo! I've only seen part of the Star Wars game but from what I saw I liked the Lego Indiana Jones game better. It's awesome! He should totally get it.